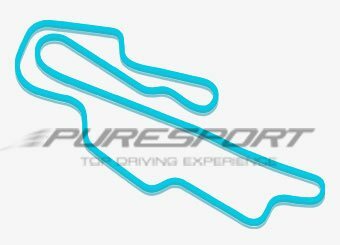 The Autodromo Internazionale del Mugello , also well-known as Mugello Circuit is located in Tuscany, north of Florence and more exactly in the towns called Scarperia and San Piero. The track has a length of 5.245 meters and It winds through 15 corners : it is one of the best existing facilities , which is constantly updated to ensure fun in total safety . Equipped with excellent facilities , 3 paddocks , a medical center , a TV area compound and many garages, it is a track absolutely appropriate for the driving experience activity made by Puresport , both for individuals and for companies , for anyone who wants to spend an unforgettable day characterized by speed and full of adrenaline , while driving Ferrari and Lamborghini , in a suggestive context, the one of the gentle slopes of the Tuscan hills. 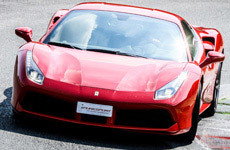 Location of many racing events, both national and international, like GT Championships , Ferrari Challenge, Porsche Carrera Cup, is mainly famous thanks to MotoGP which takes place every year in May, offering a great show. It has never hosted a Formula 1 Grand Prix , but it is the place where several testing sessions, made by the Scuderia Ferrari and other teams, take place. Their drivers have always highly evaluated the track , describing it very much faster and even better than many others , where they regularly race. 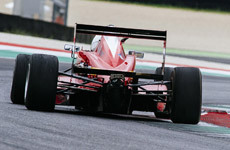 Characterized by an uphill straight which is more than 1 km long, from severe elevation changes and fast turns , blind and challenging , as the “Arrabbiata 1" and “Arrabbiata 2”, is a track suitable for anyone who wants to have fun in total security , thanks to the wide track ways out and an asphalt completely renovated with innovative techniques . 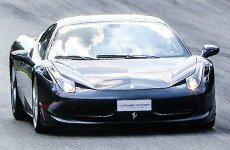 Climbs , breathtaking descents and long straights, where you will be able to vent to your passion and try the power of these wonderful GT cars. The GT experience lasts about 2/3 hours, including accreditation of the participants, initial briefing, installation lap on a shuttle, laps as per booked program and driving certificates. 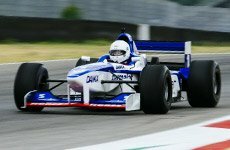 The Formula car driving courses usually lasts the between half day (for 10-lap experiences) and full day (for 20 or 30 laps and Formula 1 experiences). 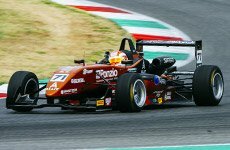 Driving experiences on race tracks, Formula single seaters test drive on circuit, driving school on Ferrari, Lamborghini and Porsche. Incentive and corporate events.